Using canned salmon in these salmon burgers assures you can enjoy them year-round without breaking the bank. 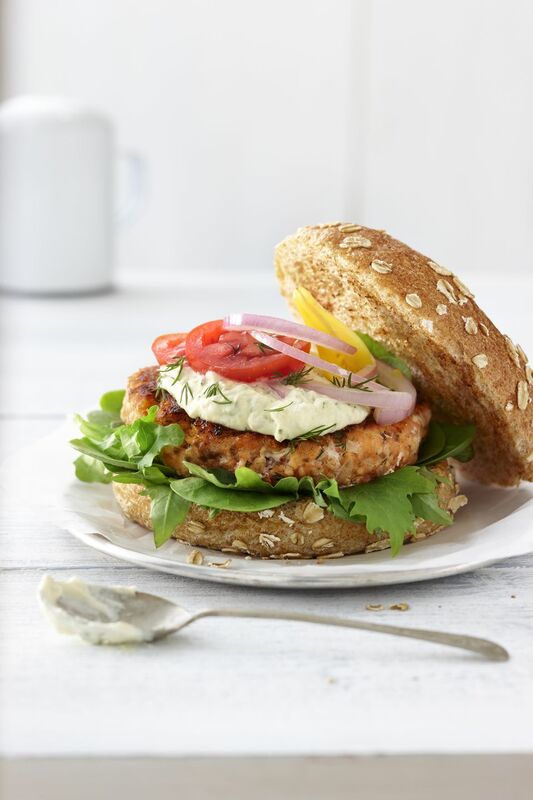 If you do not want a burger in a bun, treat the salmon patties as a main protein dish, adding vegetables and salad for sides. Please do not skip the anchovy paste. It really brightens the flavor, and you won't know it's in there. Drain the liquid from the canned salmon into a large mixing bowl. Set the salmon aside. To the salmon liquid, add mayonnaise, sweet onions, celery, egg, anchovy paste, Worcestershire sauce, dill weed, and hot sauce. Mix to combine. Remove any skin from the salmon. Fold salmon and bread crumbs into the mayonnaise mixture using a dinner fork. Do not overmix. Cover with plastic wrap and refrigerate for 30 minutes. Form into 4 to 6 salmon burger patties.